For many, the idea of “government efficiency” is an oxymoron. There are multiple layers of bureaucracy and entire political movements that have emerged around this concept, to seemingly no avail. But what if governments could be run more efficiently through open access to records and better delivery of services? That’s the hope that blockchain applications offer. The most visible introduction of blockchain technology for government operations was recently concluded in Cook County, Illinois, one of the most populous counties in the U.S., which includes Chicago and several suburbs. 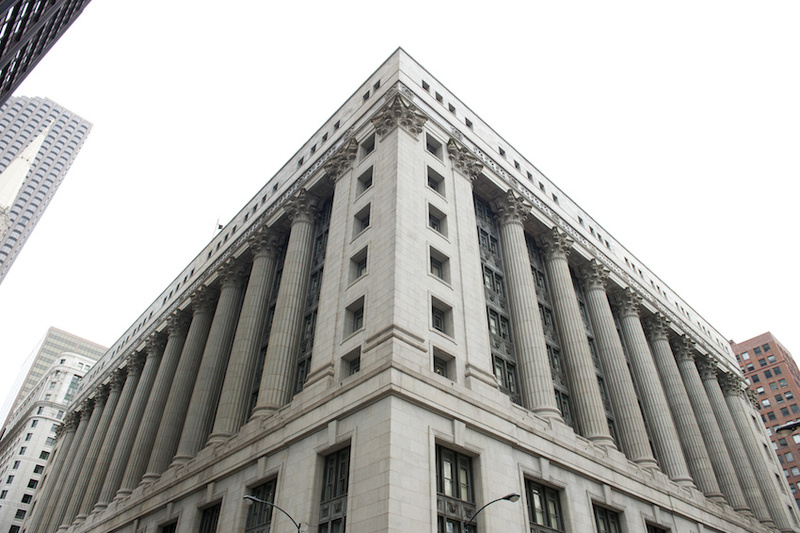 A pilot project by the Cook County Recorder of Deeds, which stores real estate transactions and records, recently explored the possibilities of using blockchains in a pilot project to store massive amounts of data. But how, specifically, could blockchain technology improve the system of storing deeds and title records? An immutable database would eliminate the flow of paper from one party to another. Instead of rifling through a stack of documents, you could access the information you needed from a personal computer. The Cook County project, if successfully implemented, could be one of the first large-scale government applications of blockchains, although it still faces many technical and political hurdles. Like many government operations, records storage has been done pretty much the same way for centuries. Land titles, deeds and other real estate transactions are usually committed to paper. Digitizing these documents has always proved challenging. Blockchains could also be used to deliver government services more directly. In Riyadh, the capital of Saudi Arabia, for instance, officials have partnered with IBM to streamline government services. The Saudi government, in experimenting with blockchains, has held an Ethereum “boot camp” to explore the technology. Officials said they are hoping to create a “digital environment” under their national action plan to modernize their government. "Through the collaboration between Riyadh Municipality, Elm and IBM, we will be able to help the Saudi government reimagine and transform the way in which services are provided to citizens, residents, businesses, and visitors,” stated Tarek Zarg El Aioun, an IBM executive. “It is a strategic step towards supporting the objectives of Saudi Arabia's Vision 2030." In February, The Saudi Arabian Monetary Authority (SAMA) partnered with Ripple to test Ripple’s international payments technology for its banking system. A pilot program will permit Saudi banks to use Ripple’s xCurrent solution for cross-border payments.